It seems like our family room is ever evolving. It was actually the first room I redid while blogging. I've recently added some new accessories. My sister Ivette decided to give me a gift as a thank you for redoing her apartment. I told her she was ridiculous and that all her projects made for some good blogging content. That's enough of a thank you. However, she insisted. Well, I happily obliged. She bought me the Gaser Rug from Ikea. It's a grey, really high pile rug. It feels delicious underfoot and I'm loving it. 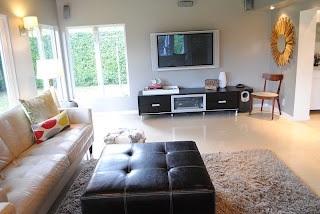 Our last rug was a creamy white Ikea Vitten rug, which we loved for a good two years. It, however, was looking really dingy. ﻿So a new rug was very welcome. Thanks Ivette! Last week, my mom, sister Jessica, and I headed to Ikea. I bought the Eivor throw. 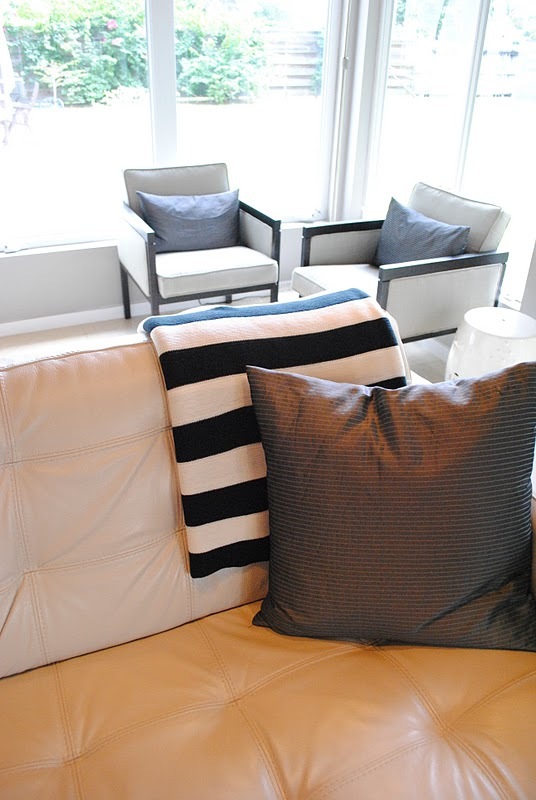 I am loving anything black and white stripes and I had to have it. I also bought the Gurli throw as an everyday comfy throw. I've already taken a few naps with it and I love it. Here's another angle of the room. Here's a close up of the rug. 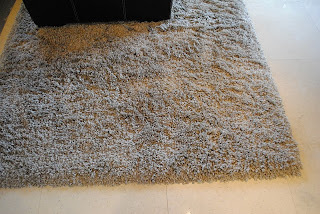 It has grey and white threads that give it a great texture. Here you can see my flower pouf in this angle. Of course, for those who haven't been reading for long, a reminder of our family room when we bought the house. My house seems to be always changing, but I love it that way. I guess that's why I took up blogging. holy smokes it is totally different! 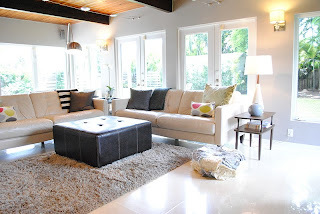 i love the rug and the pouf and the open clean feeling. The room looks amazing!!!! I love the new rug and throws too! 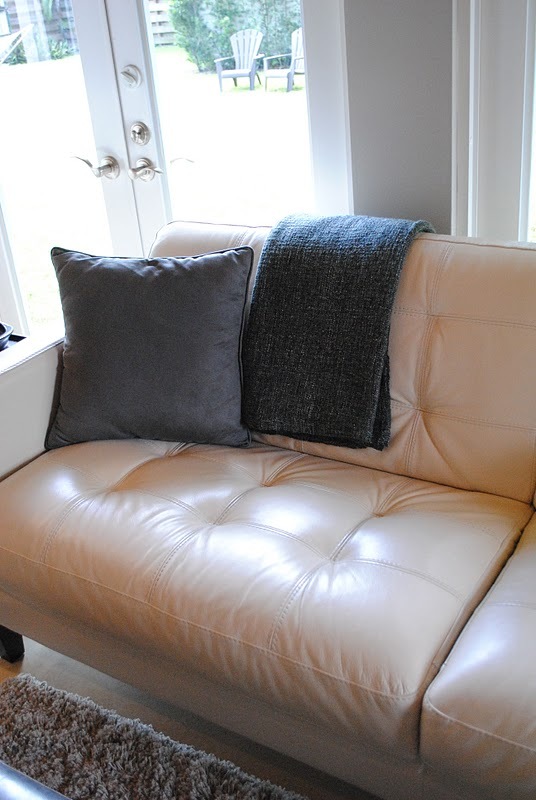 So open and light and airy and comfy! Love.it. MAJOR TRANSFORMATION looking back!!! WOW! xox! Oh my goodness! What a huge difference. It looks amazing. 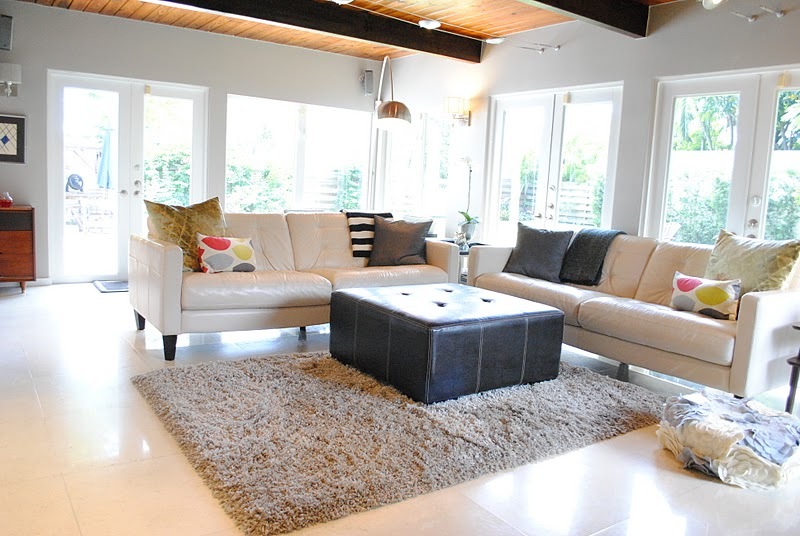 What a bright and airy space compared to the original! It looks so clean and open!!! I love the natural lighting!! WHOA!!! 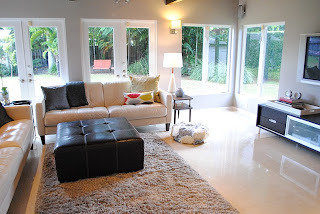 It's like night and day, literally ;) Amazing transformation and I love the new rug. Looks so soft! The rug is perfect! 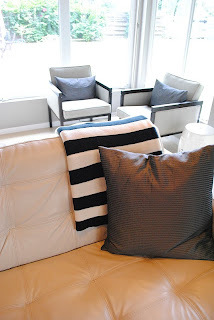 I am running to ikea for the black and white stripe throw! It must be wonderful to have all of that natural light! Love your living room! Especially your new rug. 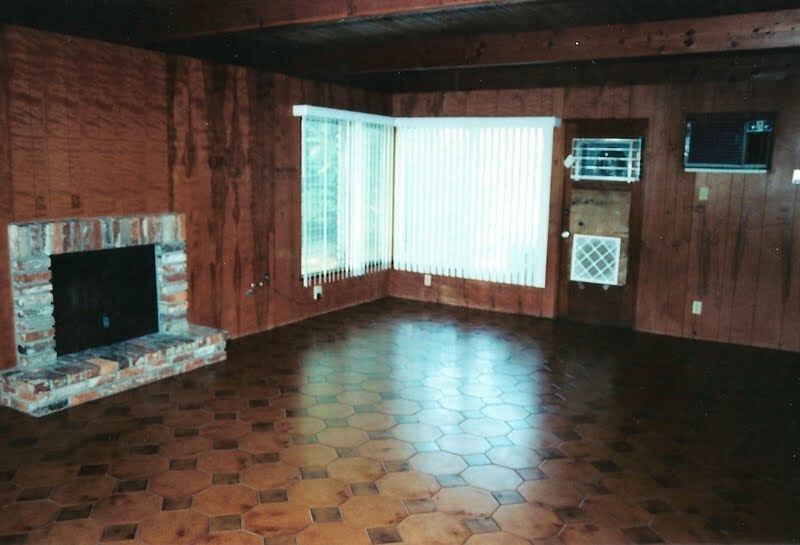 Your family room looks amazing. 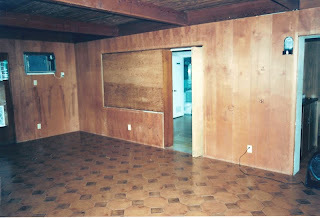 I hadn't seen the before pictures at all and now looking at the room as it is now, is such an amazing transformation. Congrats on all of your hard work. Wow - what a makeover! Love all the windows too! Gorgeous!!! I love it all! Oh, and i mUST have that striped throw!!! It looks fabulous. You have amazing windows and therefore so much great natural light in the space. 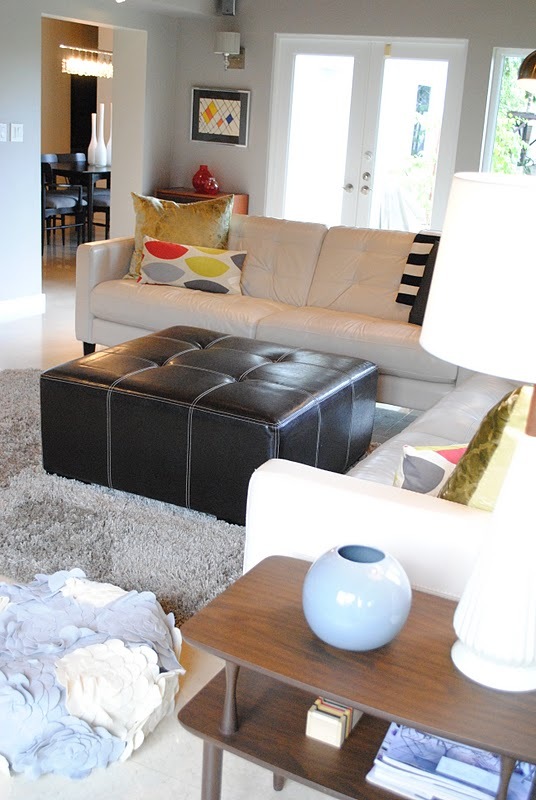 The rug is great - so much texture and I am sure so comfy. I love the open airy feeling of your family room and the new throws are fabulous. I could curl up there.